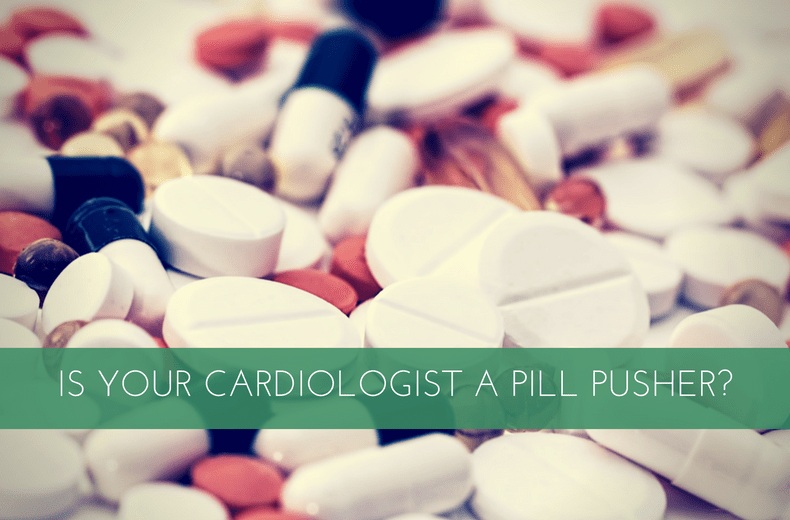 Is Your Cardiologist a Pill Pusher? My father was a cardiologist who started his practice in the 1970’s. In those days, the beauty and art of medicine were in the diagnosis of heart disease. They didn’t have many “tools” to treat patients as there were only a few pharmaceuticals and surgery was new on the scene. Angioplasty and stents were not even a dream. Fast forward to 2015. 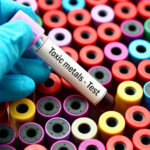 If you walk into any cardiology office you will walk out with a stack of prescriptions and orders for testing such as nuclear treadmills, CT scans, and ultrasounds. But what are the benefits? More importantly, what are the risks and what are the alternatives? The most common drug the cardiologist will prescribe is a statin drug to lower your cholesterol and presumably to lower your risk of having a heart attack. If you refuse the drug, the doctor will be very upset. We wouldn’t want to upset our doctor, would we? 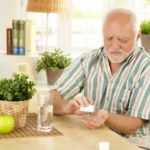 But the reality is that statin drugs do little to help the majority of people. Never mind most (if not all) statin trials have Big Pharma ties. The list of side effects is longer than the list of chemicals in the standard children’s cereal. I have seen so many patients with memory loss, muscle pain, and generalized fatigue who all improved once we stopped the drugs. The question is not, “Do the drugs work”, but at what cost and is there a better way? My goal in treating heart patients is not to reduce their risk of a heart attack from 6.7% down to 5.2%. My goal for my patients is zero percent. By going after the cause of heart disease, we can prevent it. Our body is not deficient in statins, blood pressure drugs, or aspirin. Heart attacks are from poor nutrition, chemicals, pollution, heavy metals, stress, lack of exercise, lack of sunshine, and lack of sleep. Fix these and you are well on your way to heart health. When I started in practice in 2002, I was taught how cardiologists make money: See lots of patients and order lots of tests. The reality is that stress treadmills with radioactive chemical injections are a totally abused test which only serve to line the pockets of doctors. It is the patient who suffers. A stress treadmill without the nuclear material is a good test for a person who has symptoms of chest pain or shortness of breath. If further imaging is needed, a stress echocardiogram can be done. A good history is usually all a doctor needs to determine if symptoms are heart related or from another cause. But the nuclear stress test makes the cardiologist a ton of money. This test leads to the dangerous, invasive angiogram (another moneymaker), which itself can lead to a stent or surgery. The downward spiral continues. You may think that finding these blockages is a good thing, meaning heart attacks will be prevented and lives will be saved. But you would be WRONG in that assumption. In patients with symptoms, procedures help with….symptoms. Heart attacks are not prevented and lives are not saved. (Caveat..if you are in the midst of a heart attack, these emergency procedures can be beneficial, so go to the ER). The data is clear. Surgery and stents help people with symptoms, and in most cases, do not save lives. My door is open. Come here and let’s talk about it. The natural approach to heart disease is the way to go. Cholesterol elevations are just a response to poor nutrition and environmental pollutants. Clean up your diet and avoid toxins such as laundry agents, personal care products, and household chemicals. Get 8 hours of sleep. Get sunshine. 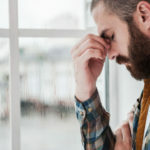 Practice relaxation techniques and remove the stressful things in your life. Stay physically active. Use evidence-based supplements. All these ways and more are discussed in my book, The Paleo Cardiologist. I hope you will check it out. Just do me a favor, show it to your cardiologist, and then never see them again.